Singaporean couples can expect to spend at least $40,000+ if they're getting married in Singapore and holding a wedding banquet. For couples who are spending so much, many have asked me which is the best credit card for them to charge their wedding expenses to. There is no easy answer. Due to various terms and conditions tied to each card - especially on capped amount of cashback, minimum monthly spending, etc - I've worked out a way to tap on various cards in order to get the maximum cashback from one's wedding expenses. Pay $3k deposit in the first month, and the remaining $1k to be combined with your betrothal package and more to hit $3k total in the following month. Combine in a new month with your remaining $1k payment for wedding ring to hit the min. spending. Spend a min. of $3k in one calendar month to get the max. 3% cashback, capped at $200 per quarter. Split into $2k monthly instalments to be paid over 20 months. Buy and pay for the following online: wedding favours, outfits for your bridesmaids and groomsmen. SingPost: 7% cashback for online, min. $600 monthly spending, cashback capped at $60/month. OCBC: Note that you must also spend min. $400 offline before you can get the 6% online rebates. - Please read the respective T&Cs on each card website before signing up and plan out your expenses to qualify for the maximum cashback rebates. 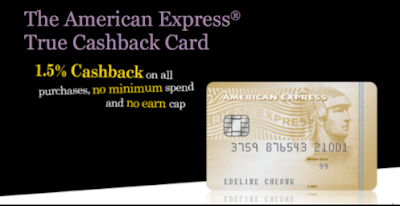 Alternatively, if you just want ONE card for convenience's sake, then the American Express True Cashback Card would be the best option, as it doesn't have any cap on total cashback. However, as the 3% cashback offer is capped at a total of $5,000 in the first 6 months, you'll have to plan out your payments carefully to make sure you do not end up only getting the subsequent lower 1.5% cashback instead. After the first 6 months are over, you'll only get 1.5% cashback on your remaining purchases. Furthermore, the cashback will only be awarded if your account is in good standing and not overdue. A good way to check this would be to obtain your credit report to assess whether you're in sound financial health for the banks and credit card lenders to reward you. The UOB One card is best paired with a UOB One savings account (which I think might just be UOB's comeback to compete with the attractive OCBC 365 account), and I've previously reviewed it here. Why all that homework to maximize cashback? 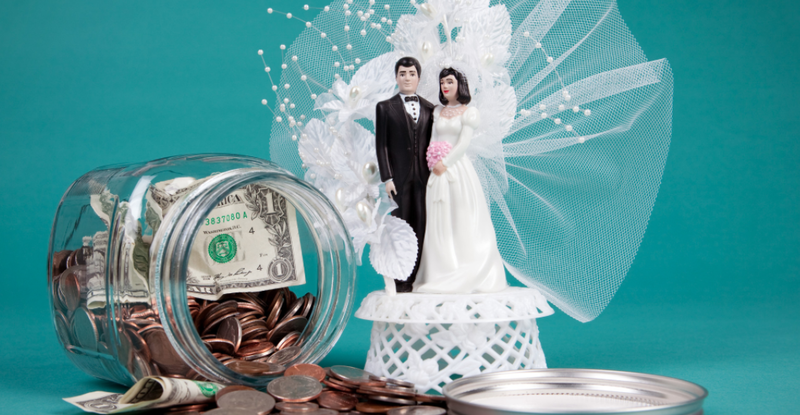 Given how much the wedding industry is over-charging for their services (you can read my thoughts about it here), you'll need to be extra diligent if you really want to make sure you end up spending a sum you can well afford. Many couples opt for the easy way out - get a bridal studio package + hotel banquet package. The remaining items (photography, videography, hair, makeup, flowers, decor, etc) will usually come with top-up fees. It saves you time from sourcing individually yourself, but the costs are not necessarily the cheapest. Of course, quality might then be another issue if you're only working from their affiliated vendors. With only a few months left to our wedding, I've been quite busy sourcing around for different quotes and confirming on the vendors for our wedding. Unsurprisingly, all the wedding gimmicks and estimated costs I had predicted in last year's post were spot on, but I hadn't accounted for one more nasty surprise: inflation-adjusted rates! I won't mention which, but one hotel banquet we enquired with had their 2016 table rates at $1,200+ but quoted $1,700+ for weddings in 2017! A makeup artist my friend used earlier this year charged $350, but revised her rates to $650 when I enquired for my 2017 wedding! I swear, all these rip-offs need to stop. Now that I'm going through the same experience, it has certainly opened my eyes up to see how much money this industry is earning from couples - and on the contrary, how we can try to limit that cash outflows. Of course, please read up on each card's T&Cs before you apply, as I've not covered every clause here. Many of these rebates and credit card rewards are also often given to customers with good credit standing - to check if you're among them, you can purchase your credit report from the Credit Bureau for $6 + GST. From now until the end of December 2016, you can get your credit report for free instead here. Another hack would be to maximize the freebies you get while applying for a card - with SingSaver, for instance, you can get additional vouchers on top of the other freebies offered by the card companies when you successfully sign up. This includes $30 free vouchers (for NTUC or Golden Village) exclusively for my readers. P.S. NOT a sponsored post. I used SingSaver + the respective card / bank websites to compare the benefits and work out the spending hack in the above table. All numbers are accurate as of November 2016. The day after our wedding my husband and I said repeatedly that there was nothing about the event that we would have done differently. Every aspect of venues in San Francisco was perfection. It was everything we hoped for - and more.